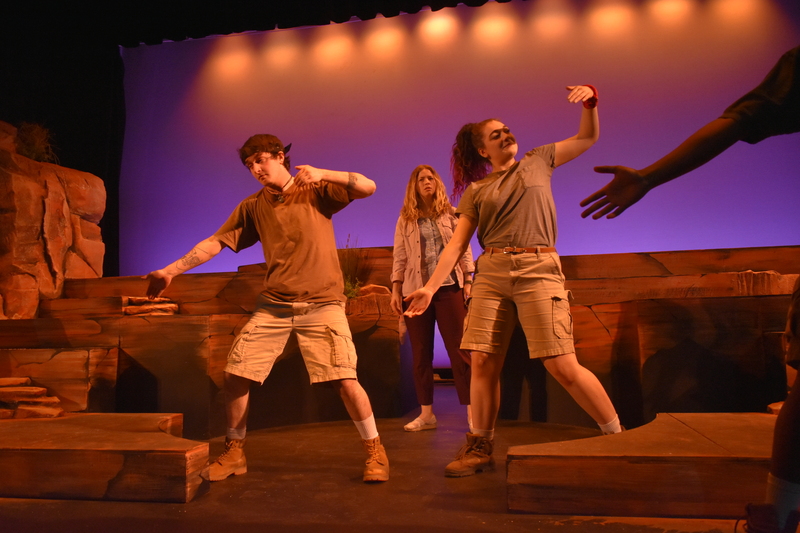 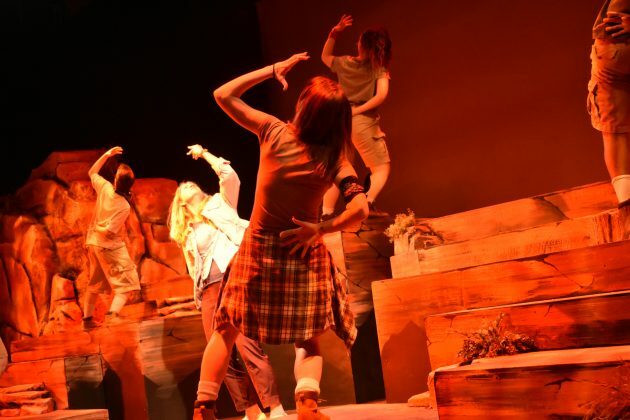 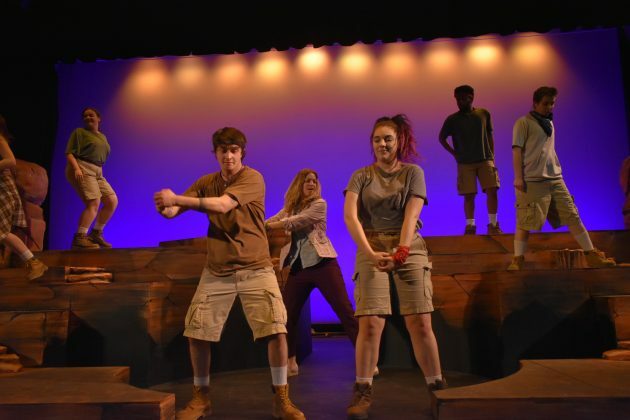 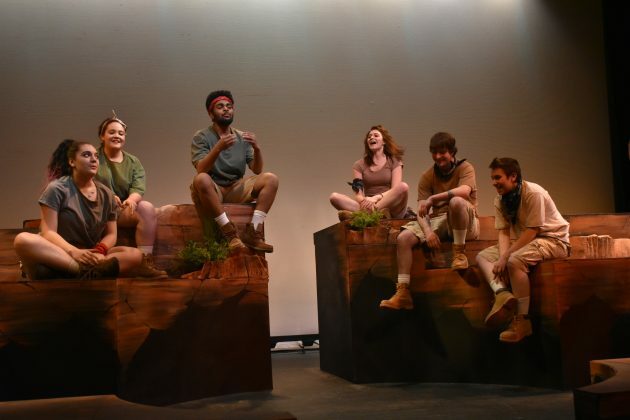 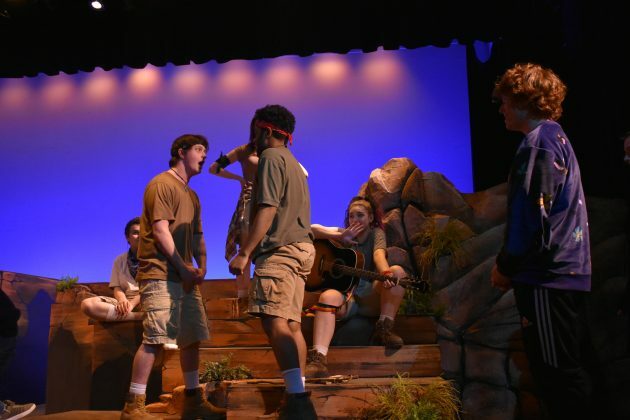 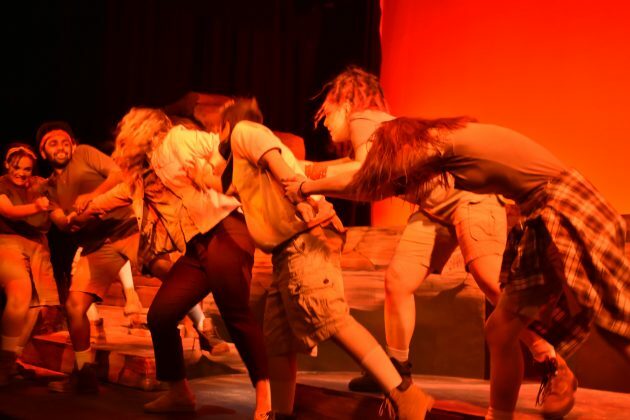 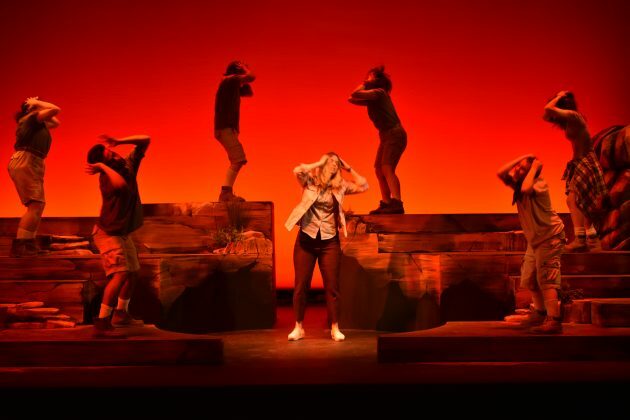 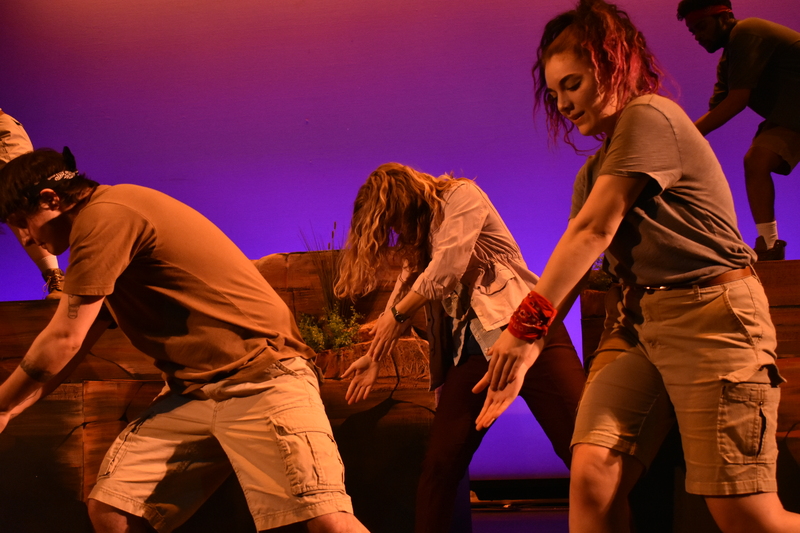 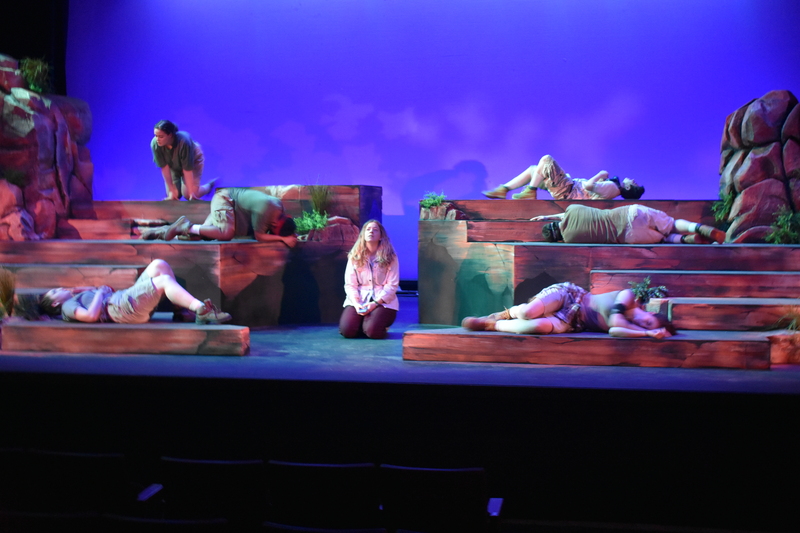 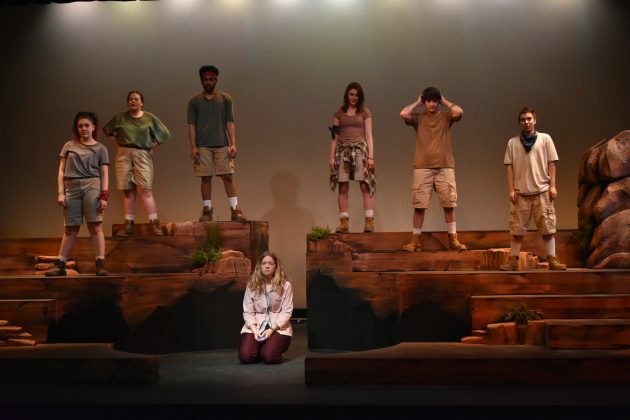 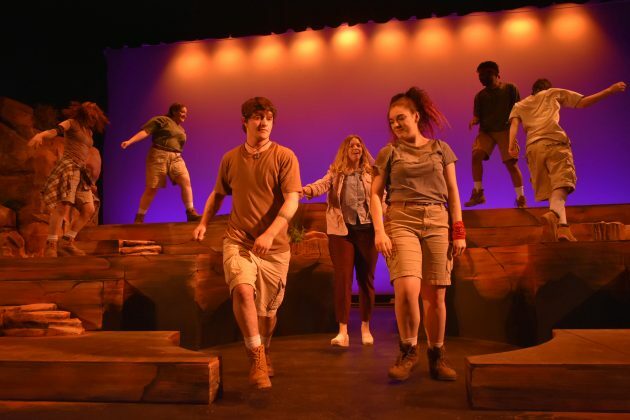 The play “Wilderness,” by Seth Bockley and Anne Hamburger, was performed by the Grand Rapids Community College Players. 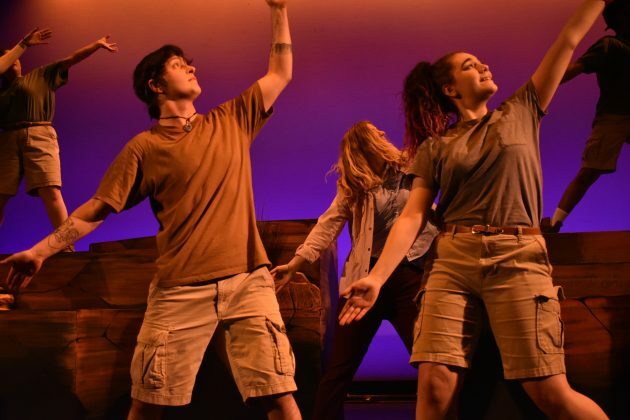 The story, based on real events, surrounds six young adults who were sent to a camp that specializes in helping those with mental health issues. 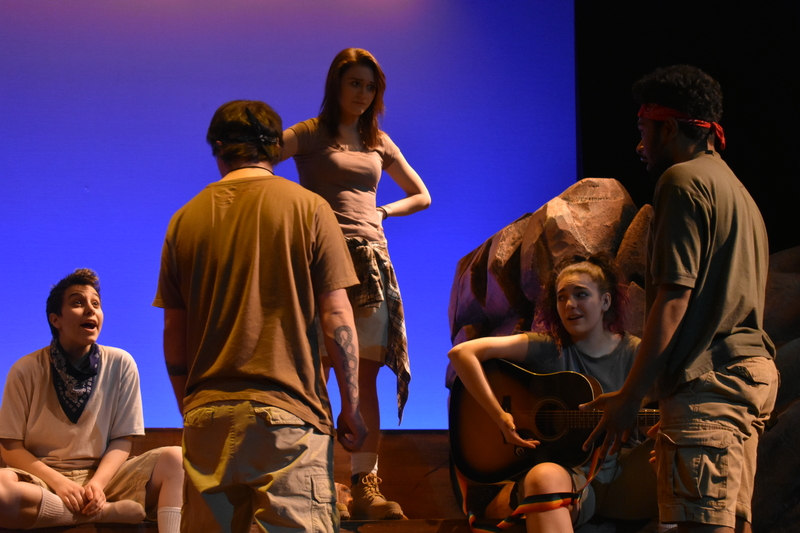 The director, cast and crew hoped to spread awareness of the harsh realities these characters faced and how they affect many in our community. Anne Hamburger spent months gathering interviews from parents, who like her, had sent their children to a camp in the desert of Utah. 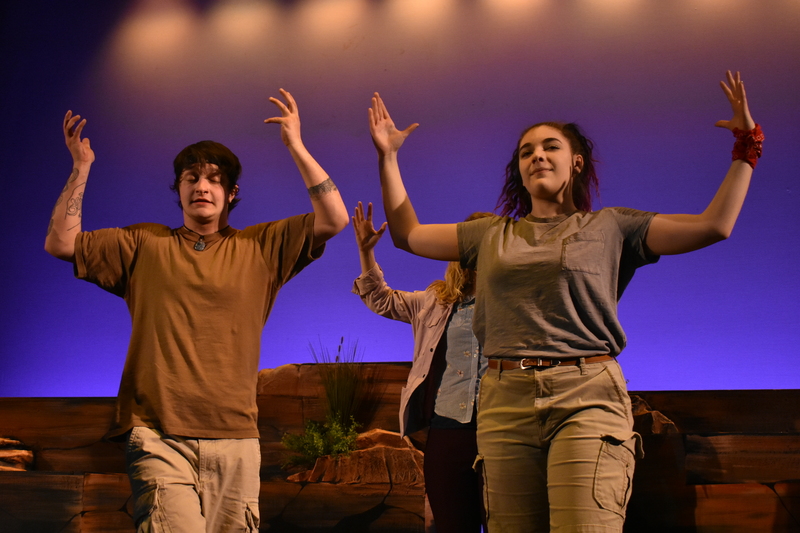 The purpose of this camp is to help young teens that are going through anxiety, depression, exploring their identity, drug abuse or behavioral issues. 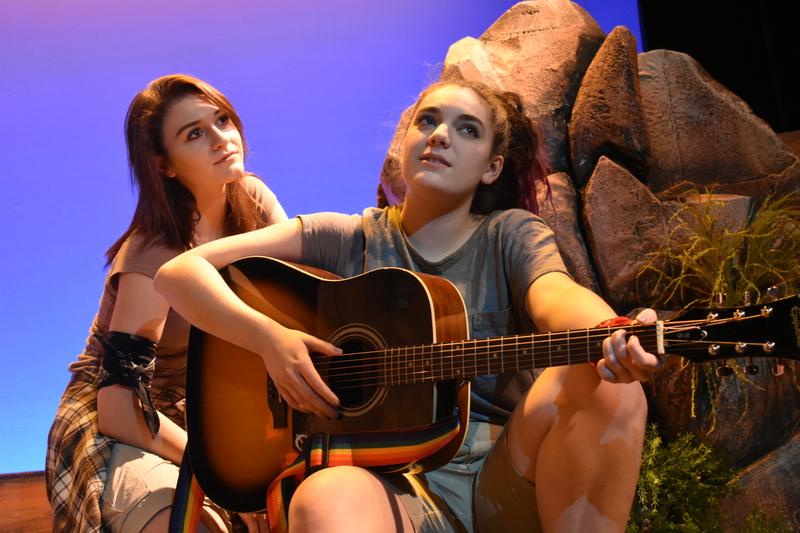 The play explores these things as well as, abandonment, the struggles transgender people face, self-harm, coping mechanisms, anger and more. 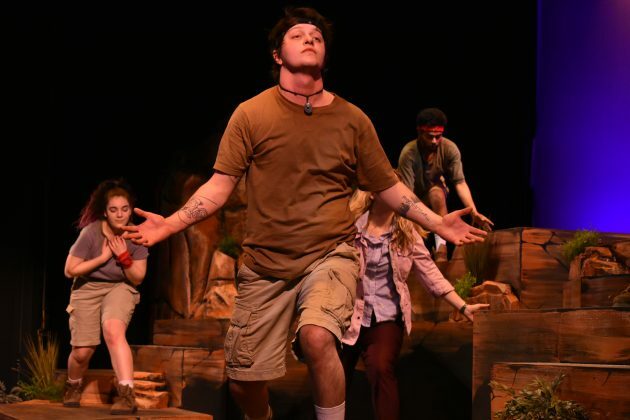 The director of this play, Jason Flannery, 29, of Grand Rapids, is the adjunct professor of theater at GRCC. Flannery started directing in college in 2013, and he began his position at GRCC in the Fall of 2018. He said that the opening night of “Wilderness” was the most confident he had felt going into a play. 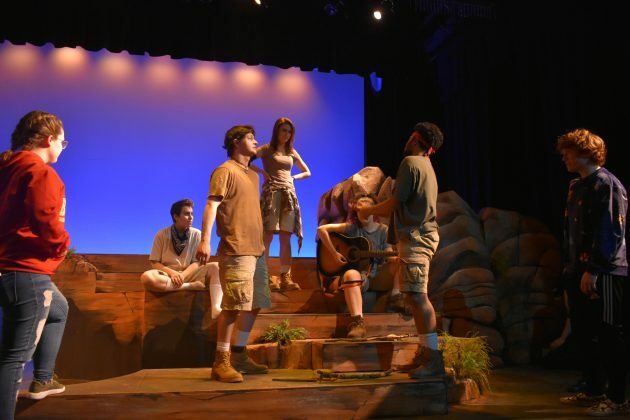 He expressed his admiration for the cast, crew and the play. 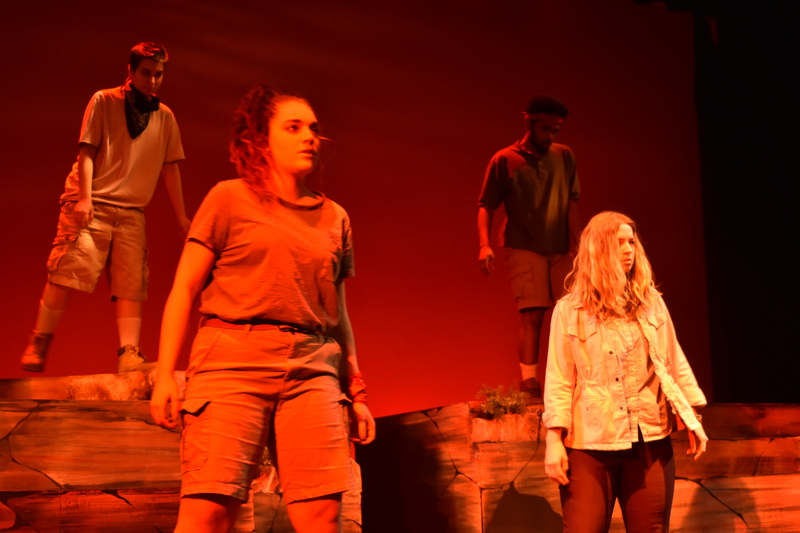 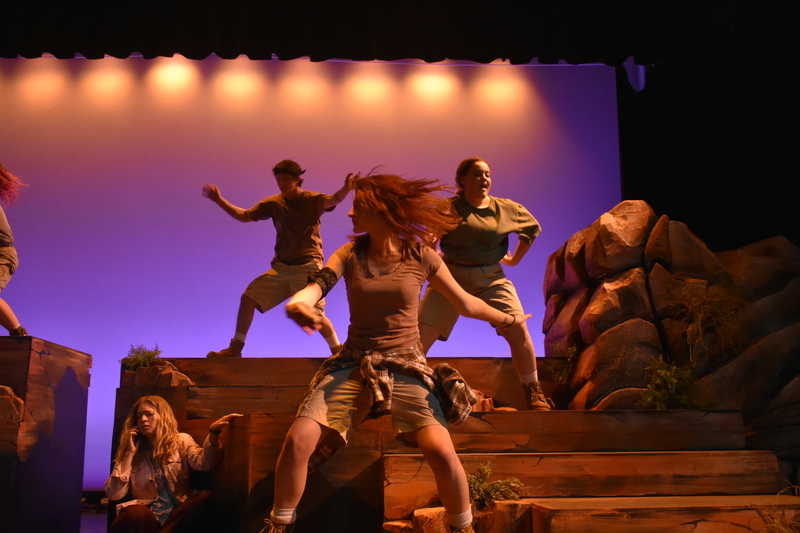 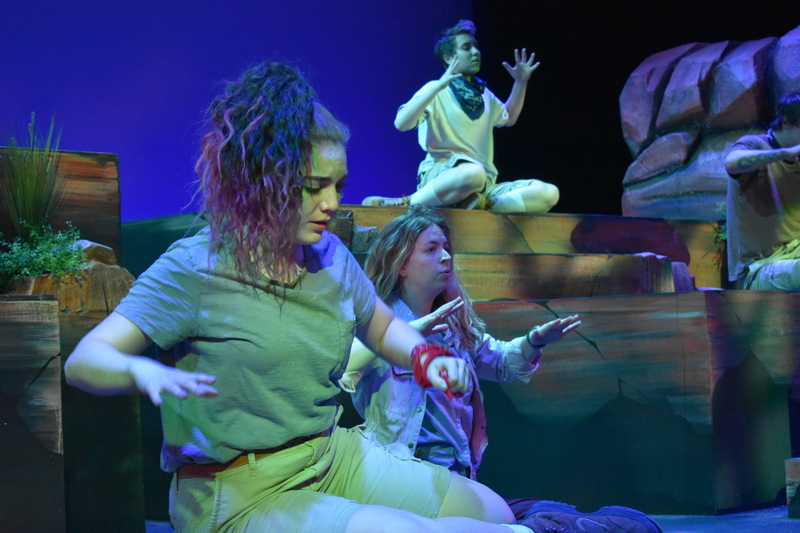 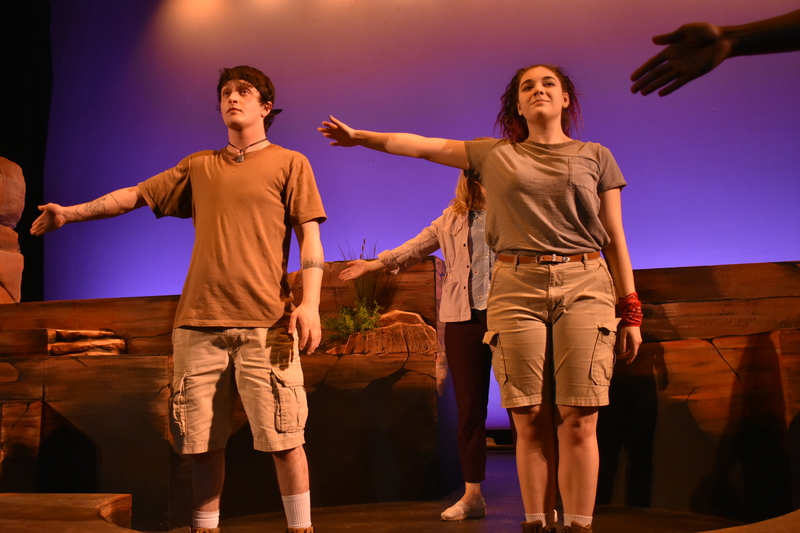 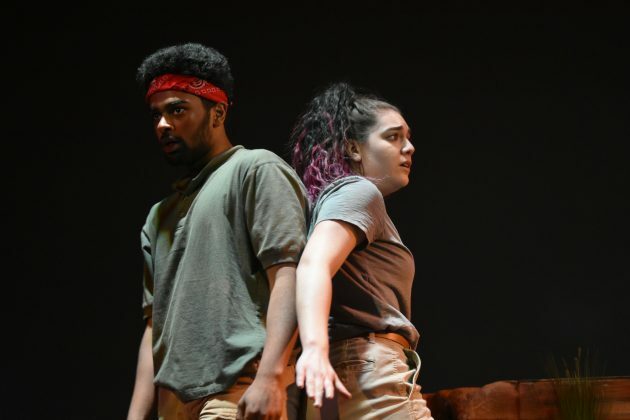 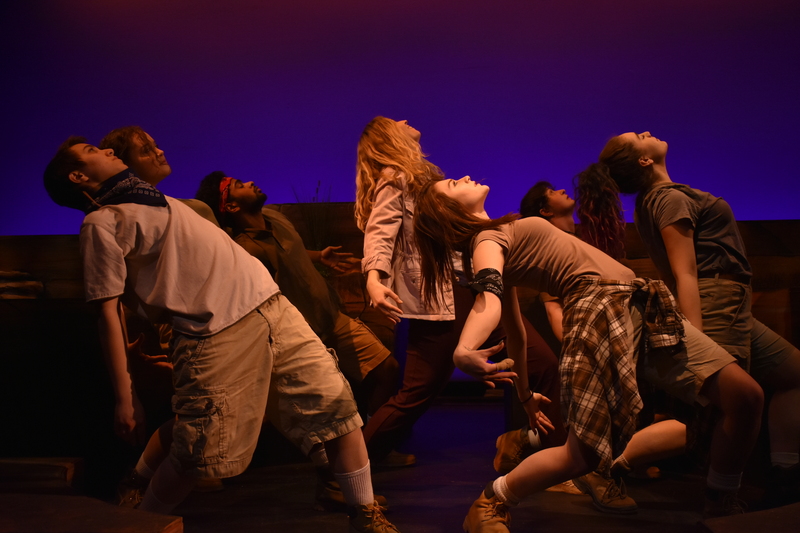 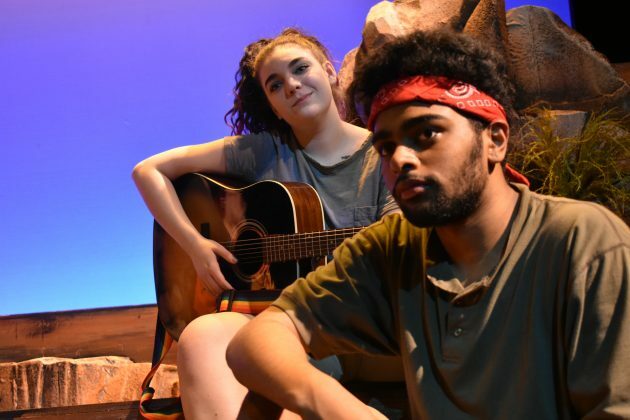 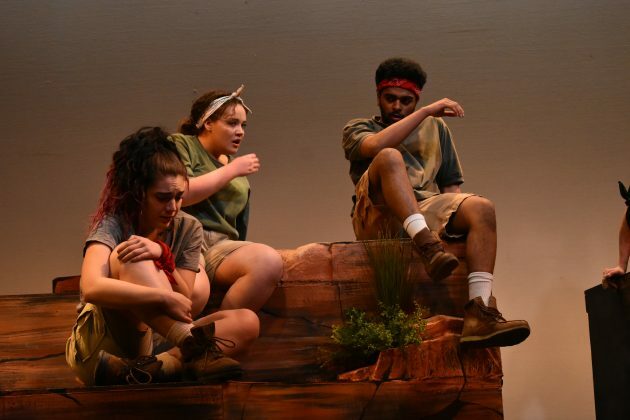 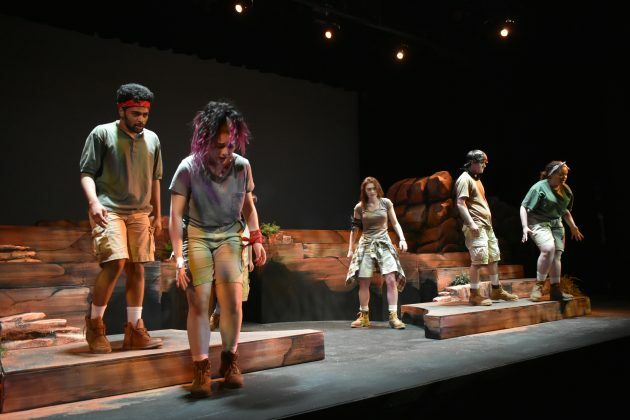 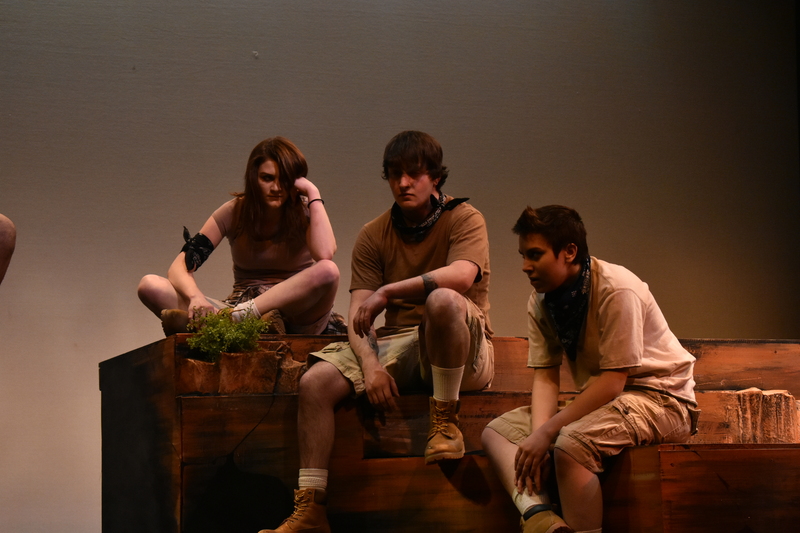 “Wilderness” was Sky Rodriguez’s first GRCC Players production. Rodriguez was surprised at how he could connect so easily with such a production and expressed similar thoughts with his castmates of what they hoped people would take away from the show. 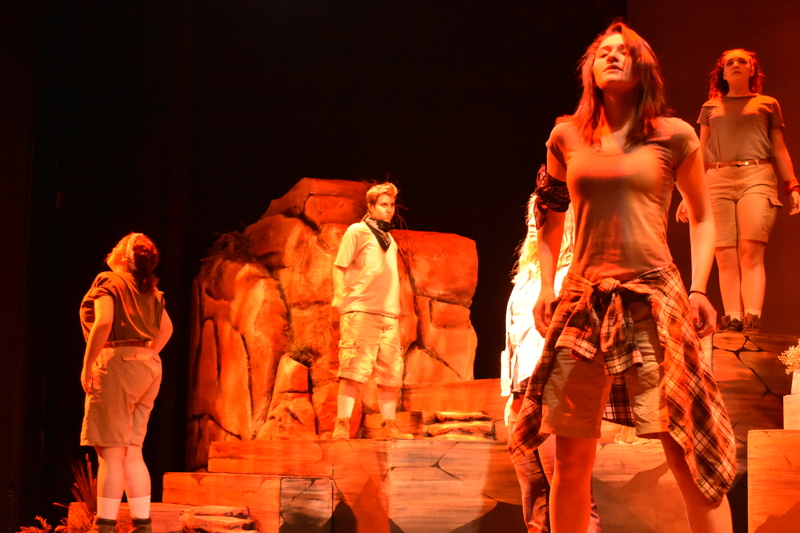 The character Elizabeth, played by Yesenia Cotto, is portrayed both as her younger self when she attends the camp and when she is older and becomes a counselor. 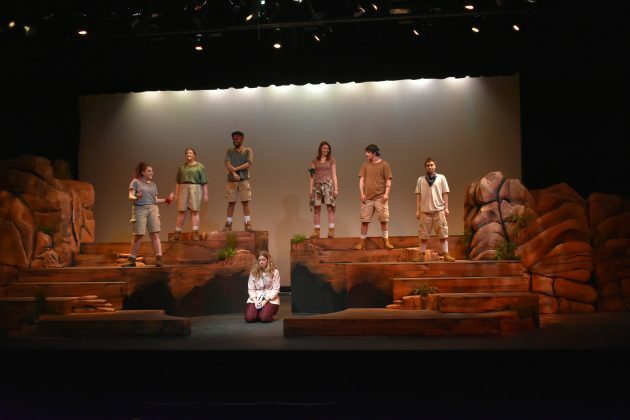 This show was Cotto’s second GRCC production, she played Deirdre in “Good Kids.” On the night of dress rehearsal, Cotto expressed her excitement, connection with the cast and how she felt about the play itself. 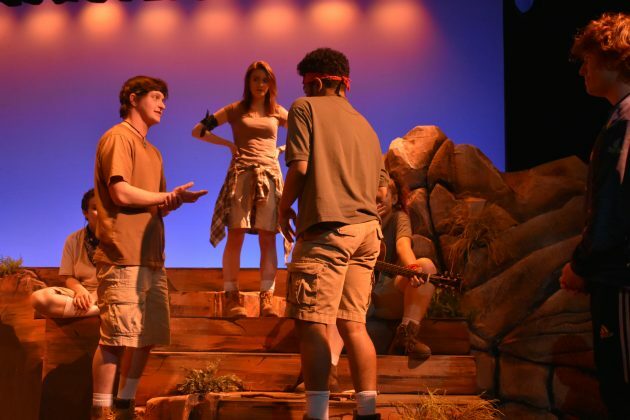 Chosen Rhodes, who plays Cole, had only performed in church plays before “Wilderness.” Rhodes talked of how much he enjoyed working with the cast and crew, learning new things and growing as an actor. Heather Vander Zee, the stage manager, has been working in theater in Grand Rapids for nine years, and expressed her liking for organizing and “wrangling” everyone. 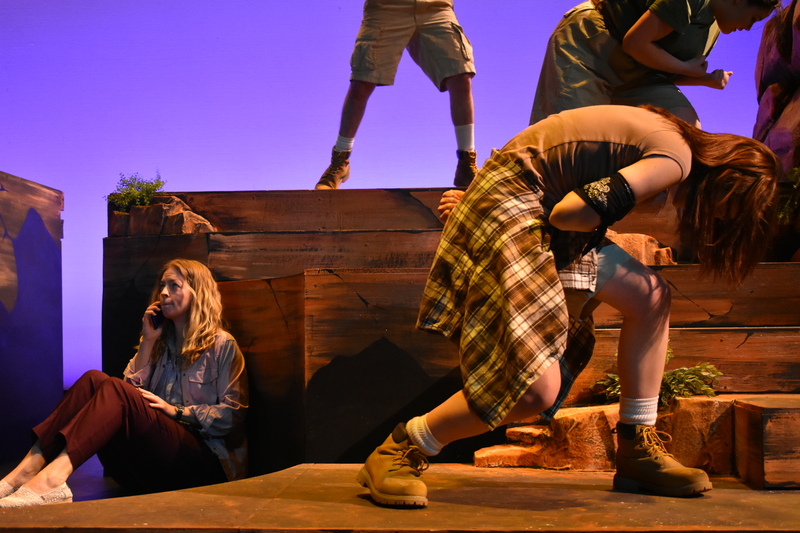 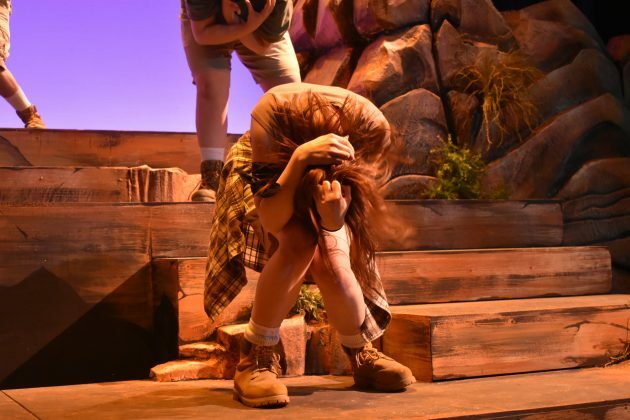 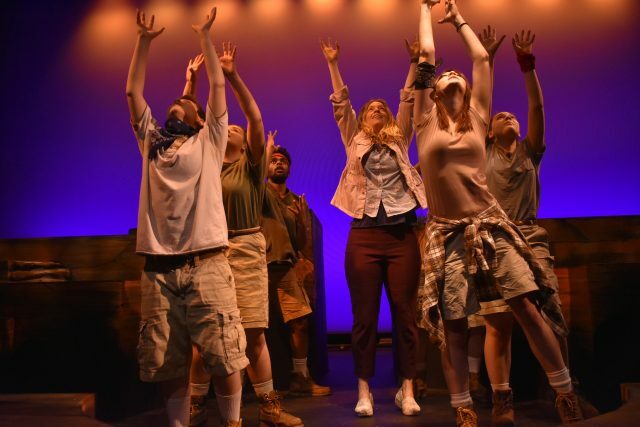 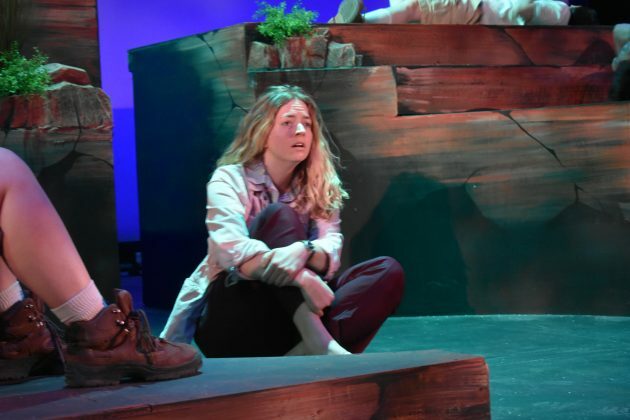 The mom in “Wilderness” is played by Julie Kehr, who has done 12-15 productions, yet this is her first production in 10 years and first at GRCC. She is taking classes at GRCC and decided to audition for the part on a whim. For the Spectrum Theater calendar, follow this link. There are more opportunities to audition for a production in the future. 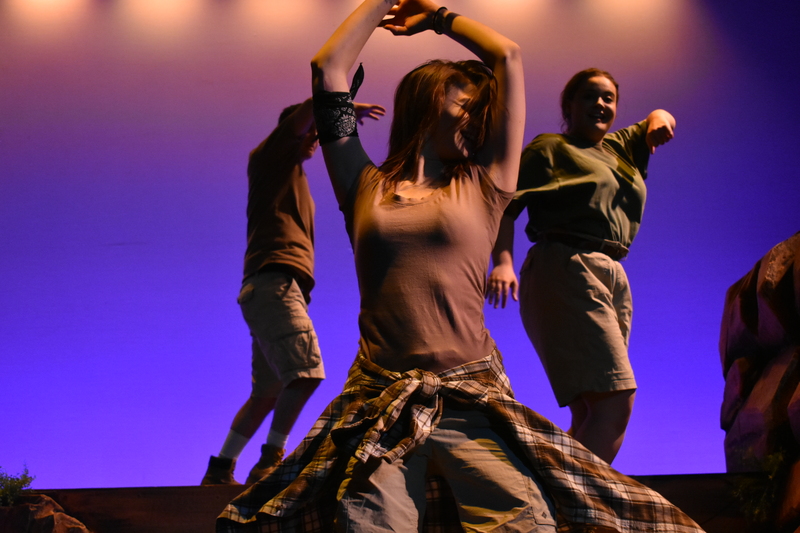 Many mental health resources are available at GRCC, there are advisors and events available to all students. For a list of events, follow this link, the events include Mindfulness Meditation Mondays, Depression: Overcoming Sadness and more.